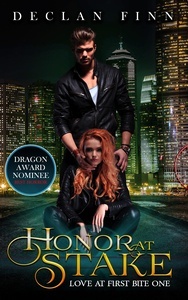 New from Silver Empire today is the re-release of Declan Finn’s Dragon Award nominated horror/urban fantasy/paranormal romance novel, Honor at Stake. Bringing you Finn’s signature over-the-top action combined with theology and Catholic vampires, this isn’t your typical paranormal romance. But don’t take my word for it. “To be honest, there have been too many bad vampire novels written and I was filled with apprehension about starting this one. However, my mind quickly shifted to Stephen King’s Salem’s Lot – and I found myself enthralled with the characters and storyline in Honor at Stake.” – Book Czar, 5-star Amazon review. “Second Only To Dracula, IMHO.” – Stuart, 5-star Amazon review. “I saw an add for this book read the description and did not have high hopes but I’m willing to give anything a try. It was pretty good starting off but then just got better and better. I loved that both main characters Marco and Amanda, were strong both in personality and physically and they did not spend the whole book babying each other which sometimes happens when reading a vampire human combo. The book took many turns and I was continually surprised and I hope in future books the supernatural world is expanded on in creatures and I info.” – Cannon mw, 5-star Amazon review. “I definitely appreciate writers who weave stories that challenge what we expect.“ – A. Holden, 5-star Amazon review. Honor at Stake is $0.99 on Kindle today only or free on Kindle Unlimited. As of this writing, it carries a 4.4 star rating on Amazon with 86 reviews. Don’t wait – get your copy now! One is a heartless, bloodthirsty killer. The other is a vampire. Then she finds tall, intense Marco Catalano in her fencing class. With a mind like a computer and manners of a medieval knight, he scares most people – but not Amanda.They both have secrets, for they are both monsters. They have only one hope – each other. Guess what I got to read this weekend that you have to wait for? Night’s Black Agents by Dragon Award nominee Daniel Humphreys. Agents is the sequel to his first urban fantasy / supernatural thriller novel, Fade. Long time readers of the blog will recall that I read Fade some time ago and absolutely loved it. Humphreys is, in my opinion, one of the best up and coming authors out there at the moment. Which is why I bought not just Fade but the rest of the series – and by bought, I don’t just mean I purchased the ebooks. Mr. Humphreys has signed with Silver Empire for us to re-release Fade and to release the new books as they come out. And that’s how I got to read Night’s Black Agents so early. If you’ve read Fade, I can promise that you won’t be disappointed. The sequel is phenomenal. 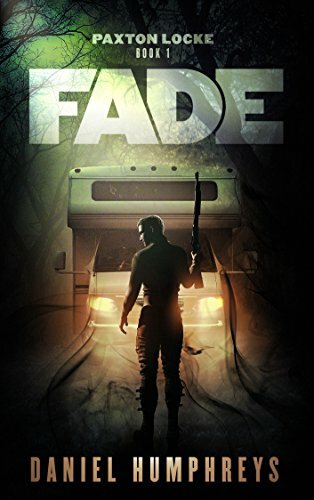 If you haven’t yet read Fade, I suggest you hurry. Mr. Humphreys will be taking it off Amazon soon in preparation for our relaunch. But don’t fret too much if you miss it – we’re going to have it, and Night’s Black Agents, back on Amazon very quickly. The draft I read this weekend is in very, very good shape. And hopefully we’ll have the finale, Come, Seeling Night, up within a year or so. Excited? So ware we. 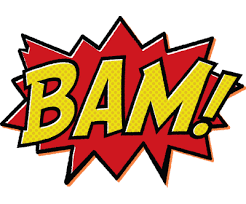 But stay tuned, because we have even more amazing news on the urban fantasy front coming soon. As I’ve mentioned before, Silver Empire will be cranking up the production pipelines hard in 2018. Earlier this week I announced that we’re bringing on author Christopher Lansdown. Back in December I announced that we’re republishing Declan Finn’s urban fantasy Love at First Bite series – and that we have another, entirely original, urban fantasy series in the work from Mr. Finn that’s already making rapid progress. Minimum word count is 50,000 words. 60,000+ is preferable. Maximum word count is 120,000 words but 90,000 or below is preferable. While we will consider one-off novels, series with at least 5 books planned get a strong preference and will get priority. Bonus points if you’ve already written more than one book in the series. But please only send us the first book until/unless we ask for more. Although we will consider books targeted at women and/or with female protagonists, we are primarily focused at the moment on series with male leads aimed at men. “Supernatural thrillers” are perfectly acceptable. While we do plan to expand into the genre in the future, we are NOT accepting submissions for Paranormal Romance at this time. The genres (and reader expectations) are distinct, and for now we want to stay firmly on the UF/ST side. If your book is on the borderline we might consider it, but only if it’s clearly on the UF/ST side of the line. Manuscripts should be in Microsoft Word format (either DOC or DOCX is fine). We’re not overly worried about fonts, formatting, or a lot of “standard manuscript” BS. But make sure it’s legible. If we can’t read it, we won’t bother. Also, make sure the document has you’re name and contact info in it. It will probably be at least 30 days before you hear back from us, but please give us at least 90 before you ask us for status. 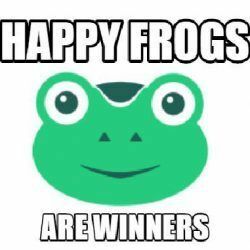 And if you’re excited about this development, stick around. We’ve got another major project in the works for 2018. I can’t talk about that one just yet… but maybe I can drop a tiny hint. I mentioned in a recent post that Silver Empire is getting into Urban Fantasy in a big, big way in 2018. Today I’m excited to share some details of our roadmap. I’m pleased to announce that we’ll be republishing Declan Finn‘s multiple Dragon Award nominated Love at First Bite series. For those of you who have already read the books, there won’t be much call to buy the new ones. We’re doing only the lightest of editing touches here. But we will be getting them all new covers and putting the marketing push behind them that these books deserve. And remember… these are steps one and two of our foray into Urban Fantasy. Stay tuned. We’ll have more to come – some of it very soon!. 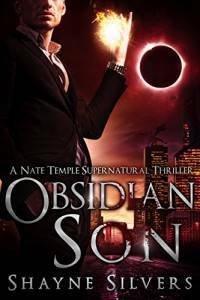 I’m angry at Shayne Silvers over Obsidian Son, book one of The Temple Chronicles. I’m angry because I spent last night reading this book when I should have been working. I have too much of my own writing to do to go down this rabbit hole. Fear not, though, fair readers! 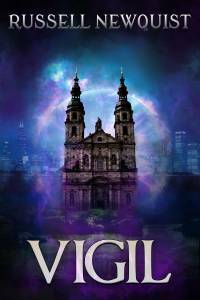 The second draft of Vigil is 50% done, and I should have it finished by this weekend (consider joining the Order of the Sword for details on how to get a free advance review copy). That book will still be out on time in mid December. Still, I greatly enjoyed Obsidian Son. First of all, Nate Temple is a great character. Unlike so many of the men in current Urban Fantasy, he’s not whiny or emo. I do have to admit that at the very beginning of the book I worried that he would turn into a hipster douche. And he does, in fact, carry shades of that. But only shades, and Silvers takes the character to a far greater depth. But it’s not just Temple himself. The supporting cast really breathes life into the story. Gunnar the werewolf and Indie the “Regular” stood out to me, in particular. One thing I find particularly fascinating is the way in which Silvers incorporates several themes that I also hit upon in War Demons, while still writing a book that’s vastly different than what I wrote. It’s always fun to see similar subjects approached in new ways, and I really enjoyed Silvers’ touch on the topic. The plot didn’t carry many surprises, but that never bothered me. At every turn I enjoyed the ride well enough that I didn’t mind a predictable destination. And one particular plot twist that I half-expected from the first quarter of the book never happened – thankfully. I might have taken off a full star if it had gone down that way. Sometimes the paths an author doesn’t take matter as much as the ones he does. This is easily a five out of five star book. 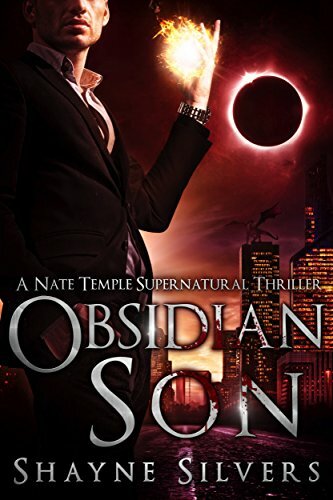 If you love urban fantasy – especially the kind with solid, masculine leads, Obsidian Son book is for you. Personally, I can’t wait to dive into the rest of the series. 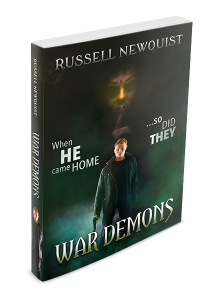 As I prepared to publish and market my latest novel, War Demons, I set out in search of other, similar novels. 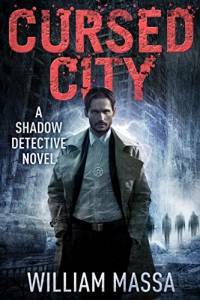 Cursed City by William Massa quickly rose quickly to the top of my list. It turns out that male leads represent an endangered species in urban fantasy novels. Many of the books sold in the genre should actually sit in the paranormal romance category. I hold nothing against that, but War Demons doesn’t fit with that crowd at all. Neither does Cursed City. Book one of Massa’s Shadow Detective series, this book packed in the fun. It’s pulp as hell, and I mean that in the best possible way. Mike Raven, the hero, provides a welcome breath of masculinity in an estrogen dominated genre. Furthermore, he lives up to the primary duty of a protagonist: he’s interesting. The writing is simple and straightforward. At first, that worried me. But a few chapters in it became clear that the simple writing is intentional, in the tradition of the old school pulp writers. This kind of deliberate simple writing is actually a challenge to accomplish, and it makes the book very accessible. And if I hadn’t already overcome that objection, the twists in the final act more than compensated. A quick, thrilling read, this book started in the middle of the action and only paused for a few breaths along the way. I give it four stars out of five, and I look forward to finishing the rest of the series. I highly recommend it to fans of male led urban fantasy. It’s available right now on Amazon for only $0.99, or you can pick it up for free on Kindle Unlimited like I did.